This is not spring weather……. Well I had high hopes for Spring but the weather really does not know what to do. One moment we are basking in 17C weather in the capital and I’m pulling out my sandals and Spring dresses next thing we are reaching for our gloves and shivering in close to freezing temperatures. Granted we are in April and we are due the April showers but April downpours were not on the menu. So needless to say my wardrobe is in turmoil. We are not quite ready to give up on the winter coats but we are nowhere near prepared to shell down to our Spring dresses so an in between wardrobe is in definite need. So here are a few tips to get into the Spring frame of mind. 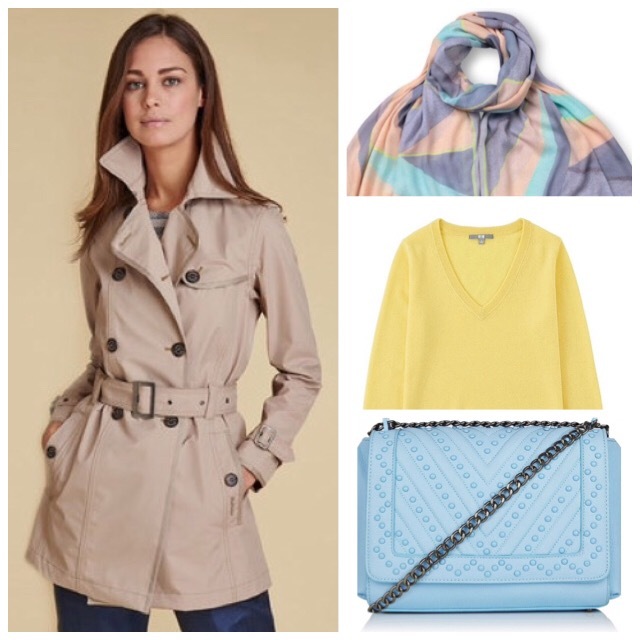 The first way to instantly update your wardrobe to channel the Spring vibe even when you feel you are in Artic conditions is to pick your colours. We have picked 5 colours here that are going to be big for the Spring season and that you can always translate these into warmer pieces. 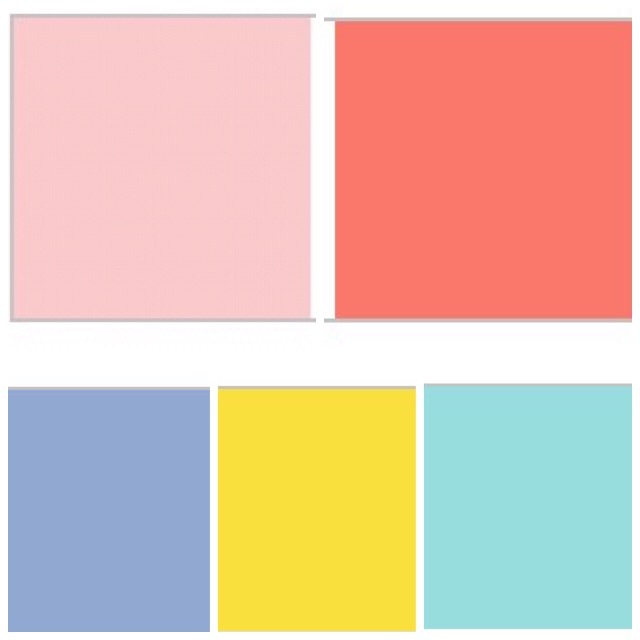 ( Rose, Peach, Periwinkle, Buttercup, Aqua). It could be as simple as picking up a scarf that will instantly warm up your outfit. Or you can even go for a handbag to have the same effect. 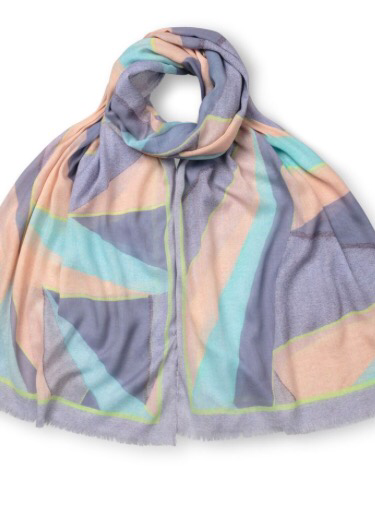 This scarf from Oliver Bonas combine the Peach and Aqua key for the Spring season but the geometric print also ties in another big trend for the Spring season. You could easily pair this with a simple raincoat to brighten up the rainy days. 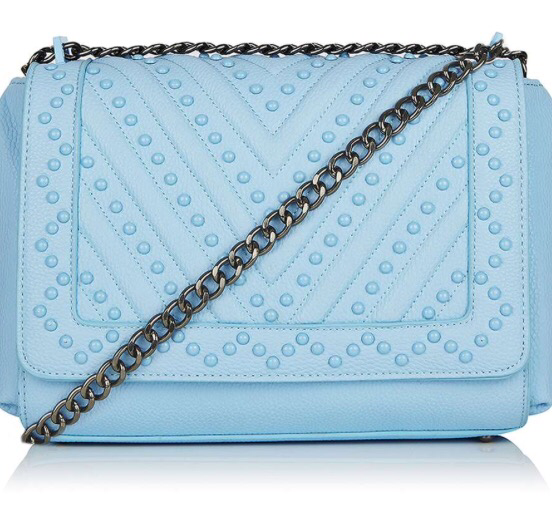 This great little cross body bag from Topshop is an easy update for your wardrobe. You can pair it with a very simple outfit of just a pair of jeans and a t-shirt and it will give you an instant boost of colour. 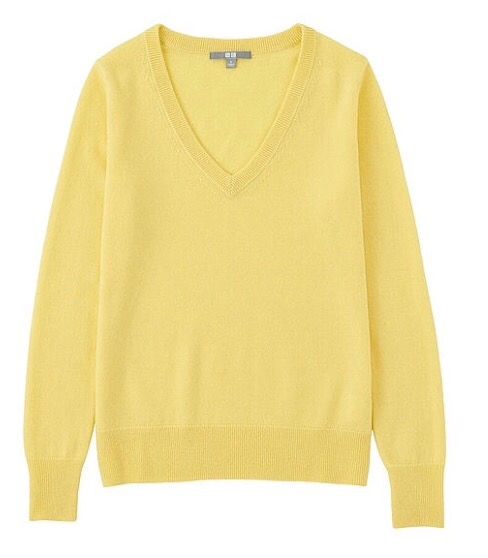 Another way to instantly update your wardrobe for Spring but keeping warm is the cashmere jumper. The trick is to keep it in a very light neutral tone or opt for one of the key Spring colours. If you opt for the neutral tone like White or Beige then you can always recycle it for the winter season by just adding the scarf and accessories is the colours of the season. The thing to check for with cashmere is the quality and content percentage. Always check the care label inside the garment to check what percentage is cashmere. Sometimes you will see a product advertised as cashmere but it only has a small percentage so always check with what you are getting. 100% is the best and you will feel it will be soft as well. However you can find some great wool mixtures that are great quality. The best place on the high street for pure cashmere is Uniqlo. They use great quality and at an affordable price. They also have a range of colours and style. This one is a great V-neck that you put a shirt underneath but the range is vast from Crew to polo neck. Also the colour range is very impressive. The final piece to the Spring update is a good raincoat. This is an essential to anyone’s wardrobe especially if you live in the UK as rain is a common occurrence. You can also layer underneath it on the colder days. I would always stick to a neutral classic colour as you will be able to wear it for seasons to come. But if you want to be more adventurous then you can always pick one in the Spring colours. Always check to makes sure that your raincoat is at least showerproof. As looking nice and being functional is very key. All well and good looking nice if 5 minutes into a downpour you look like a drown rat. Granted this raincoat is a little bit more expensive but you have to look at the pros to it. You have a good quality brand like Barbour who specialise in outerwear so it is really going to last your more that one season. Plus it is 100% waterproof so it will definitely keep you dry in the rain and to top it off it is in a classic neutral colour so you can wear it all year round. So in a sense it’s a bargain. Just remember when dressing for an unpredictable Spring that just because the weather might be grey and dull your wardrobe does not have to be!! !